Jessica Ennis showed all of her Sheffield steel this year with a golden performance at the World Athletics Championships. Just a year after cruelly missing out on the Beijing Olympics because of injury, the 23-year-old shone during the heptathlon, leading from start to finish in Berlin to take gold. The Sheffielder posted seven sensational performances in the 100m hurdles, the high jump, shot put, 200m, long jump, javelin and 800m. And her score of 6,731 points was a personal best - what a time and a place to deliver a career high! That total put her second on the British all-time list of heptathletes, behind Denise Lewis' table-topping 6,831. 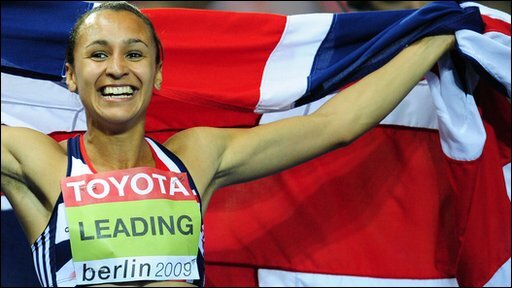 Ennis began her career at the age of 10 when she joined an athletics summer school at Sheffield's Don Valley Stadium. She went on to balance her sporting ambitions with her academic dreams, studying for a psychology degree at Sheffield University during which time she won the European junior title and Commonwealth bronze. At the 2007 world championships, Ennis finished a creditable fourth, setting a personal best in the 100m hurdles.